This weekend the PGA Tour made its annual post-Masters stop on Hilton Head Island for the RBC Heritage Tournament. Nothing has done more to market the resort island than the Heritage, which began Thanksgiving weekend 1969 with a fortuitous win by Arnold Palmer. 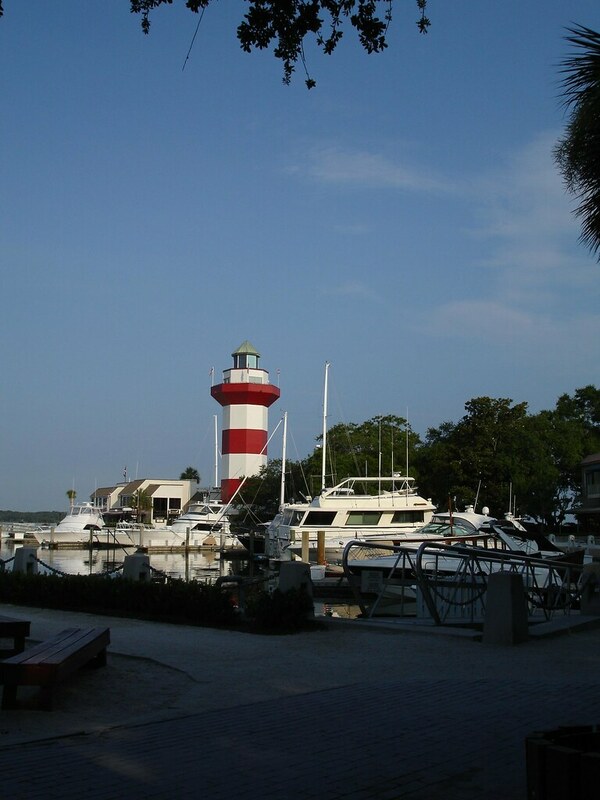 At that time Hilton Head had barely begun its career as a resort after a first career as sea island cotton plantations and a hundred years as a residential island for former slaves and their descendants. The 2012 coverage of the RBC Heritage on the Golf Channel and CBS Sports offers up a full-color advertisement of what Hilton Head has to offer. During voiceovers going into and out of commercials, the producers deliver corporate blimp aerial shots of Calibogue Sound and the Sea Pines harbor that gives the Harbortown course its name. They show the flora and fauna indicative of the lowcountry setting. This year that included long-leaf pines, live oak trees bedecked with Spanish moss, and Palmetto trees. They even showed an alligator montage with several specimens swimming in ponds on the links course and one taking a walk across Sea Pines. It’s lovely and evocative of a well-groomed natural (yet quite man-made) space, and in April it is certain to remind folks who tune in from Minnesota, Pennsylvania, or Connecticut that there is a land with beaches, tennis courts, and luscious golf courses all invitingly warm and ready to play. Like a well-engineered driver, these images pack a punch. Two-page magazine spreads and online advertisements can’t do for Hilton Head what the broadcast of RBC Heritage Tournament has been doing for forty-two years.